Okay, so prepare yourself for “Mel’s overwhelming all-things-pregnancy/baby email” that I have put together over the years from getting lots of emails like yours from various friends/family. Sharing information and resources is one of my love languages, so thanks for asking. The info is a little patchy b/c it’s from a few different emails and it’s WAY more info then you have (probably) asked for, but I find that it’s helpful to be aware of what’s coming and you’ll be surprised how fast the pregnancy goes. Alright, girl, are you ready?! Hang on to your Ergo straps! My only experience with observing pregnancy and birth was hearing a few details from friends that I worked with from a pretty conventional point of view. Beginning to grow into a more naturally-minded person just before my childbearing years, I had an inkling that I wanted to do things more naturally. But running across the book, Breastfeeding and Natural Child Spacing by Sheila Kippley, at the local maternity center library was an educational turning point for me. It’s kind of an odd title, but it sets forth a way of looking at pregnancy, birth, nursing, and child rearing in a way I had never heard or thought of before. And here’s an article on doing things more like traditional cultures did. It is COMPLETELY different than what you will hear from mainstream sources, but has some interesting ideas to consider. It will rock your world, so take it a bit at a time. And you definitely have to run it through your God-filter as some of it can be a bit new-agey. I am a lay nutrition nerd, and much of the impetus for this (other than sharing the genes of a grandma who grew wheatgrass before it was cool and a mom who fed us rice crackers before “gluten-intolerance” was acknowledged) has been wanting to nourish and feed my children well – particularly while they are in the womb. I have landed on the simple philosophy of eating real food, including foods that traditional cultures have been eating for centuries. And this is their compilation of children’s nutrition articles beginning from pre-conception. Feel free to go on their website and search for what you’re looking for as well. And in regards to where to find all this healthy pregnancy food, I get mine from a food drop where you order on-line and pick up on Thursday afternoons. It may be a different day for the ones in your area, but the best way to find out is to contact the closest chapter leader to you and then get the info from them. You should be able to find some stuff at local farmer’s markets, natural food stores and online. Nourishing Our Children is a great resource for nourishing ourselves and our children pre-conception, during pregnancy, and beyond. In regards to a list of easy, nutrient-dense snacks that you can pack for work (and hopefully you have a place to refrigerate some stuff): raw cheese (I live off the stuff), hardboiled organic eggs with sea salt, glass of whole fat raw milk (don’t worry, it’s safe! ), meat jerkies, whole fat plain yogurt (add frozen fruit for sweetness), crispy nuts, sourdough bread with lots of organic butter, olives (watch out for chemical preservatives! ), anything with coconut (health food stores carry Jennie’s macaroons and they’re a great healthy sweet fix), canned sardines (look for BPA-free brands), avocados with gluten-free crackers, fresh organic fruits and veggies, dips with good fat (hummus, pesto, tapenade, organic nut butters, guacamole, etc.) and healthy bars for on the go. It probably sounds like you’re going to blow up like a balloon if you eat like this, but it’s the refined carbs and sugar that really get ya. You’ll also feel more full with nutrient dense stuff then you will from downing a bag of chips. High vitamin Cod Liver Oil is the best supplement you can take for baby and Green Pasture is where I get mine. (They are not all created equal.) It’s an investment, but if you buy 12 bottles at a time you get a discount and can split the order with other CLO ingesting friends. If you are not already, start eating fermented foods with lots of probiotics (yogurt, homemade sauerkraut, raw milk, etc) as your body is more prone to infection (yeast, sinus, etc.) I also take a good supplement just to be sure. I like Garden of Life brand and found the cheapest option at VitaCost. Here’s a great source regarding herbs for pregnancy, and it’s caused me to start drinking more nettles tea and up my red raspberry leaf and alfalfa capsules. As well, there’s a great herbal supplement that I took in the last 5 weeks of my pregnancy helped TREMENDOUSLY with blood loss (which I had struggled with on the first 2) I took it with Noelle and after too much bleeding with the first two, I did so much better! And at $32 total, it’s a great deal. Seriously the best bang for your buck. Childbirth Solutions is a great website and here she mentions what herbs to avoid during pregnancy as well. I have gotten through a number of infections and sicknesses with a variety of home remedies . Antibiotics can start you and baby on a bad cycle of infection and sickness, so it’s important to avoid them as much as possible. I have a natural antibiotic that I make as well as a neti pot for sinus infections, garlic and boric acid suppositories for yeast infections, coconut oil or gentian violet for thrush, garlic and mullein ear drops or colloidal silver for baby’s ear infection, etc. Just know that medicines are not your only option for these things (though there is a place for them) and that the mainstream medical community does not know and/or does not inform you about the long-term risks of the antibiotics that they pass out like candy. I can’t emphasize enough how important it is to be educated about birth, particularly if this is your first one. It is very easy for a normal, low-risk birth to turn into a c-section based on a series of seemingly insignificant circumstances and decisions – i.e. when your water breaks, pitocin and labor induction, position of the baby, etc. 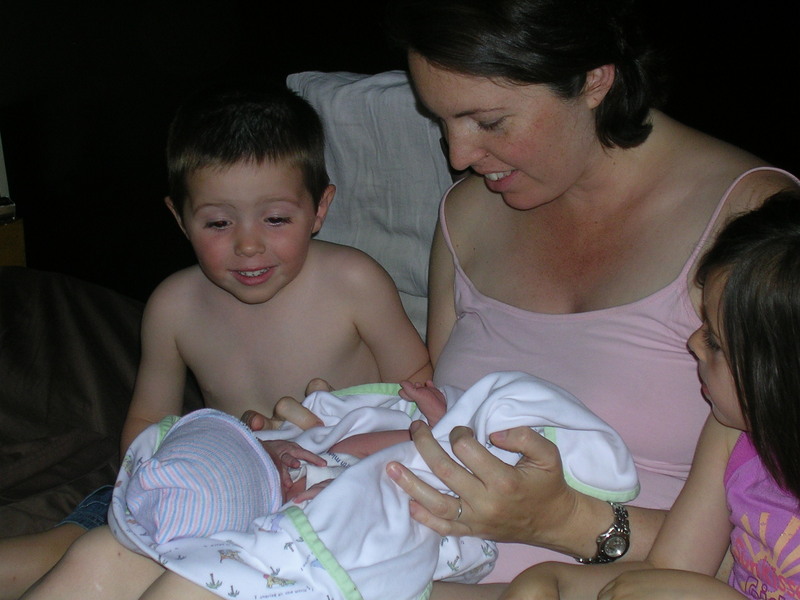 Bradley Method – The natural birth gurus. Luke and I took a great husband coached childbirth class together through this organization that prepared us well as a couple. Find one in your area. 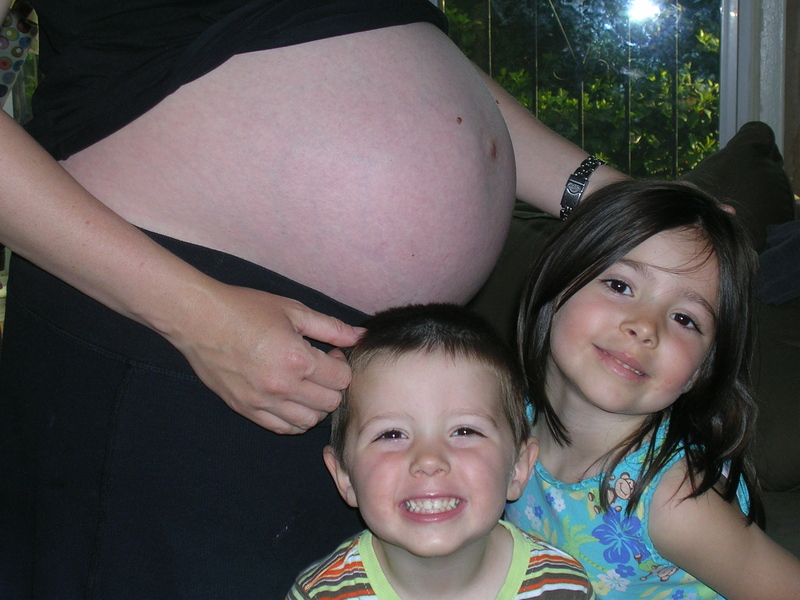 Though birthing at home is safe for low risk pregnancies, it still freaks some folks out. (For an understanding of the risks of hospital birth, check out The Business of Being Born.) If you are brave enough to consider homebirth, then read Ina May‘s Guide to Childbirth. She’s definitely an “earth mama” and it has great tips and information, plus interesting birth stories. One of my favorite Ina May tips, that kept me from tearing when my last two babies came out was clitoral stimulation. I know, TMI!!! BUT it brings blood into the cervical area which enables it to stretch better as well as lubricates the birth canal. Gasp all you want, but when you try it (and you are willing to try anything when faced with “the ring of fire“) you will thank me. And I say in advance, you’re welcome. ‘Cause I know your mama didn’t tell ya ’bout that! If you still want a natural birth but are not ready to do it at home, then consider a birth center. They are a great in between option that are usually more naturally minded than hospitals, but still offer the back up support that people find comforting about a hospital setting. If you are headed the hospital route, know that hospitals very widely in the friendliness toward natural birth. Be sure to educate yourself, ask good questions (including what their c-section percentage rates are or how often women birth naturally there), go in with a firm and written birth plan, and be prepared to articulate it. You may also want a birth advocate like a doula as well. I particularly recommend this for your first time as it’s invaluable to have someone advocate for you so you and your husband can just experience the birth together. As well, you are less likely to get the eye roll from a grumpy nurse or Mr. OB (who has never given birth himself, BTW) who thinks you are just being a wuss and don’t know what you are talking about. Alright this is taking much longer to update than I expected – why am I shocked by this? – so I am chopping it into 2 parts so I can get something on the blog. Head on over to Part 2! Please share your favorite natural pregnancy and birth resources below. This entry was posted in Build Good Health, Learn New Stuff, Love Those Kids by Shesourceful. Bookmark the permalink. Hey, Natalie! They used to have these cinnamon gummy fish that my kids LOVED, but they discontinued them – sad. Now they have a couple of spoonable ones like – chocolate (my kids liked that initially, but not anymore…), cinnamon (which is a tad spicy), and peppermint (which in my opinion should not be mixed with anything fishy.) I tend to teach my kiddos to swallow the capsules early on, so my youngest (3 yo) is starting to swallow the capsules so she can wean herself off of the chocolate. You kinda have to do a mix and match order and see what your kiddo likes. Be sure to give Green Pasture feedback, so we can get more kid-friendly options. Good luck! Has anyone found success in getting their kids to take CLO? Hi Melanie! Thanks so very much for writing all of this! I am devouring this information as I continue to read and educate myself about all things pregnancy and baby. I have a few questions…1) do you drink the teas (nettles and raspberry) throughout your entire pregnancy? 2) What is the difference between the Garden of Life Ultra Probiotic and the Garden of Life HSO Probiotic? 3) i’ve never taken Cod Liver Oil—do you just drink the liquid type? and are the capsules chewable or do you swallow them? 4) also the Wedston A Price foundation/ the pregnancy diet guide link isn’t working for me…is it the right link? just wanted to double check! Hey, Em! Congrats on the new bun in the oven! 1) I actually take Red Raspberry Leaf in capsule form (I’m not a natural tea drinker and it helps me get it in more regularly) and because I had 2 miscarriages before this pregnancy, my herbalist friend suggested I take it throughout the pregnancy to strengthen my uterus. I’ve been more patchy about the nettles, but I like to make the tea and drink it cold. 2) I have a blogger friend who has distinguished between soil based probiotics and others here: http://www.kitchenstewardship.com/2012/06/21/are-your-supplements-turning-into-deadly-pathogens-in-the-gut/ 3) I swallow CLO capsules because then you don’t have to taste it. 4) And I think the Weston A. Price website has been hacked or something. I use it all the time, and just the other day it came up as a malware site where someone had attached a bug to it. Then I saw that they had posted that they were under construction. Give it a few days. In the meantime, I’ll send you my word document copy of it… Blessings! Not prego, but hope to be in the next couple of years, so I’ll bookmark this…and I’m not going to lie, I’m a little freaked out by eating your placenta…but also SUPER curious. Nothing is TMI for me, so I’ll look forward to reading that! Mel – have you looked at getting a capsule filler? I started making my own CLO capsules. I put them in the capsule machine and fill them with a syringe. Then I press down a little and pop the caps on one at a time (though I suppose you could try it with the machine)… It wasn’t too much on Amazon. Interesting, Emily! Will look into it. About how much money do you think you are saving by doing this?